As I am sure most of you are aware, there are plenty people and publications that take a look at concealed carriers and the CCW lifestyle with a very negative eye. Perhaps the most well known anti-CCW piece in recent memory is this one from the New Yorker. Many, including the New Yorker article itself, claim that those who carry concealed are living in a fantasy world of fear cultivated by the NRA and gun companies in order to boost sales of firearms. They say that CCWer's are simply overcompensating and overpreparing for an emergency that would never happen. 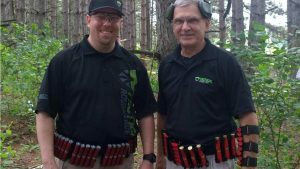 As I am sure you are also aware, these claims are far from the truth and we here at USA Firearm Training have the real numbers that show you that the CCW lifestyle is not only good but noble. In recent years, mass shootings have been in the news far more than at any time in memory. Sandy Hook, Orlando, San Bernadino, and countless other massacres committed by gunmen who were able to, with patience walk through a crowd of people and commit heinous acts of carnage due to the fact that there was nobody around that was able to stop the rampage. The average national police response time is around 10 minutes. That would mean that in the middle of the chaos, should someone be able to make a phone call, the killer would have an additional 10 minutes unimpeded to continue the massacre and that's not including the amount of time it would take for the police to infiltrate. If that is not clear enough that a well trained and armed citizen on site would be a vast improvement to waiting for the cops, let's take a look at the numbers killed in incidents a police officer stopped a mass shooting versus a civilian. 12/9/2007 – Matthew J. Murray entered the Youth With A Mission training center in Arvada, Colorado and killed two people, then went to the New Life Church in Colorado Springs, Colorado killing two more. He was shot and injured by church member Jeanne Assam and committed suicide before police arrived. 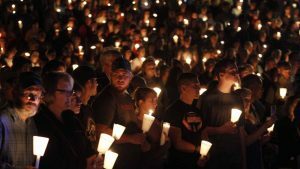 4/22/2012 – Kiarron Parker opened fire in a church parking lot in Aurora, Colorado. Parker killed one person before being shot and killed by a member of the congregation who was carrying concealed. 7/20/2012 – James Holmes went into a crowded movie theater in Aurora, Colorado and opened fire with an AR-15 semi-automatic rifle. Twelve people were killed before the shooter surrendered to police. 12/14/2012 – Adam Lanza entered Sandy Hook Elementary School with two handguns and a rifle, going room-to-room shooting students and staff. He killed 27 in all including 20 children and committed suicide after police arrived. In fact on an average of 15 incidents stopped by police with a total of 217 dead an average of 14.29 people died in each incident, while 17 incidents stopped by civilians ended with 45 dead, an average of 2.33. The numbers there speak for themselves. Having a trained and armed civilian dramatically reduces response time, which means fewer deaths. The media will try to twist the facts by showing how few incidents are stopped by civilians but they don't care to account for opportunity in those statistics. In other words, I can also guarantee that 0% of incidents in which there is NOT an armed civilian available to stop the threat that zero of these will be stopped by a civilian with a gun. Now that is just mass shootings. The most common occurrence in which a concealed carrier is called into action is stopping an everyday occurrence such as an assault or a robbery. In fact every year, as many as 500,000 citizens defend themselves with a firearm away from home according to Dr. Gary Kleck in his book “Armed Resistance to Crime”. Concealed carry laws drop crime rates across the country. As shown in a comprehensive national study, which determined that violent crime fell after states made it legal to carry concealed firearms. 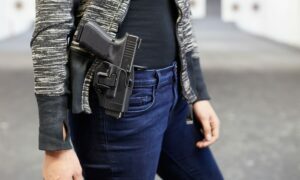 The results of the study showed that states which passed concealed carry laws reduced their murder rate by 8.5%, rapes by 5%, aggravated assaults by 7% and robbery by 3%. In fact, you can see updated statistics across the country about how many justified shootings are occurring right now. Showing how much good concealed carriers are doing in protecting themselves and the populace. It's a number that could be replaced by deaths were those armed citizens not there. Now, to another point, past the figures which show how concealed carriers help save lives, and instead towards the character of a carrier. Many people have an image in their head of a concealed carrier being nothing but an uneducated gun nut who is only too eager to get their finger on the trigger and catch a moment of glory. This is obviously far from the truth. This lifestyle takes devotion beyond what many are willing to give. Shooting drills, drawing drills, cardiovascular training, money for gear, time in classes and at the range. All of this devotion simply to protect themselves and those around them. Citizens who give up their time and money to potentially put themselves in harm's way to save others. We write books and make movies about people like this, but the narrative that is spun in the real world is that these kind of people are conspiracy theorists and overly fearful of the world they live in. We don't do this because it is just a fun activity. We do this because we know that there are times where it may be called upon that we have to defend life from criminality. We don't believe that around every corner there is someone waiting to get us, but we want to be prepared if this next corner, is the one corner, where there may be a threat. 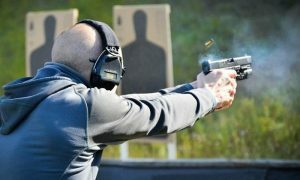 The concealed carry lifestyle is one of immense preparation, devotion, and sacrifice to make things a little bit safer. And if that is not the best case for this lifestyle, you just need to ask yourself if those that disagree with this lifestyle are prepared in case an incident like this were to occur, and I think you'll have your answer. Great article and too often unsaid. The expense alone reaches into the thousands every year! How many of your “other” friends have been fingerprinted, background checked, tested and educated on guns, gun safety, gunfighting, the law, politics, and the Constitution and found sufficient? We have a card every 5 years or so that proves we’re not criminals, felons, fugitives, wife beaters, mentally ill, dishonorably discharged, drug abusers or bad neighbors. Anyone who thinks differently, is too ignorant to bother with.